receipt examples making is simple. As long as you know what essential data must be included, you won’t have to worry about anything. 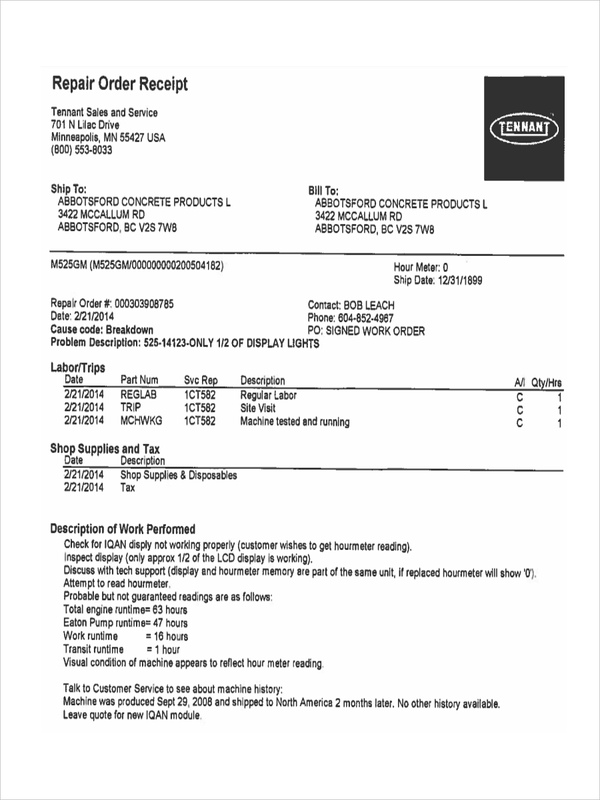 For instance, an order receipt must contain significant details that are beneficial to the buyer. However, it’s important to create a receipt that represents formality. This is to establish one’s credibility. To do so, you must know how to properly structure the content of your receipt. 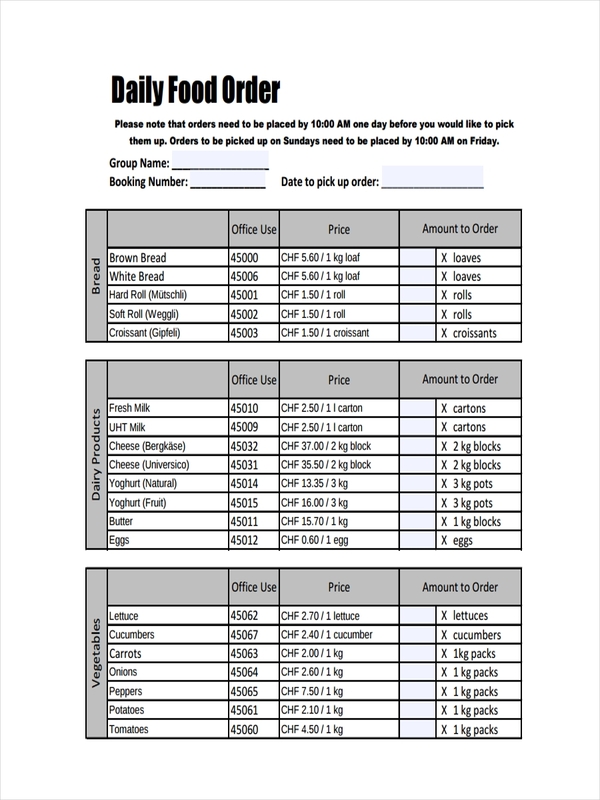 What Is an Order Receipt? We define a receipt of order as a written document that acknowledges a payment made by a buyer to a seller. 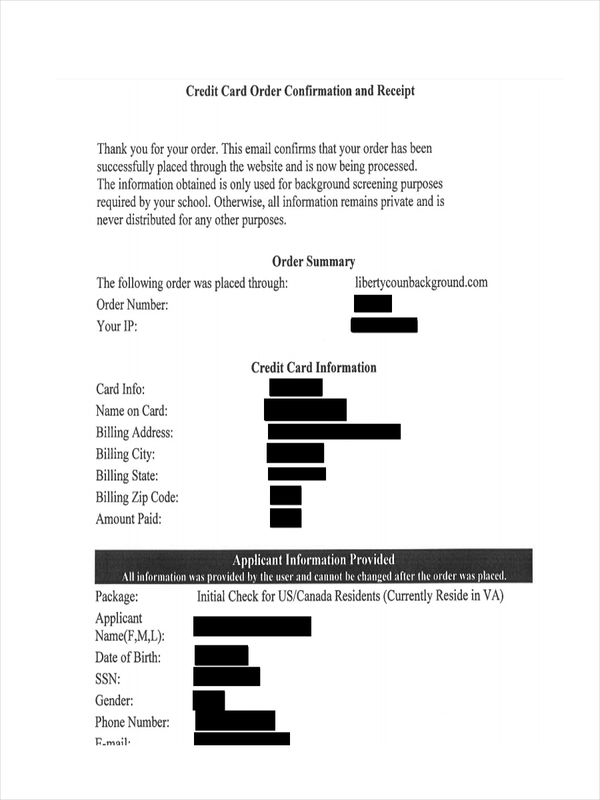 Nowadays, this type of receipt, like most free receipt examples that we encounter, is typically sent through a confirmation email but it is still possible to receive one in the mail. An order receipt usually lists the seller or the shipper’s name and information as well as the details of the order. It will also consist of the amount of the order and the additional costs. 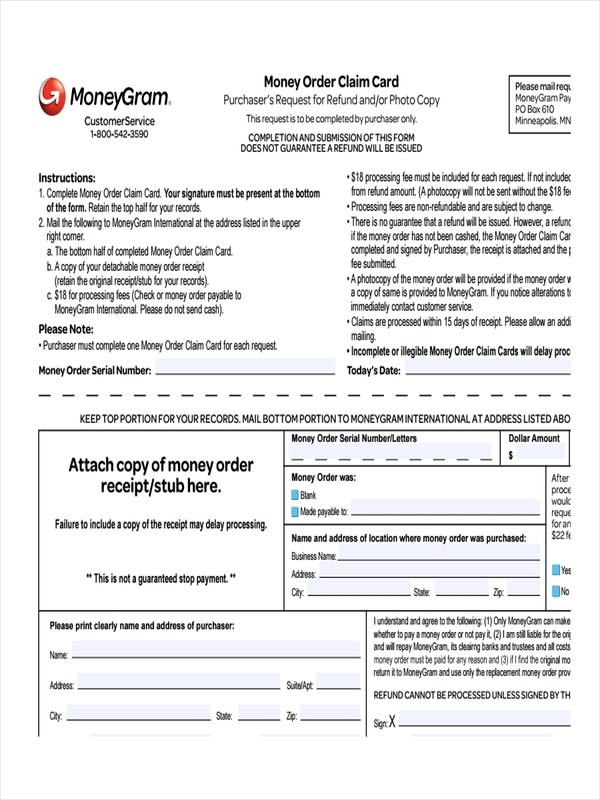 A receipt for a purchased order is typically issued after a payment has been made. It typically contains the necessary information of a product or service, a seller, and sometimes a buyer. 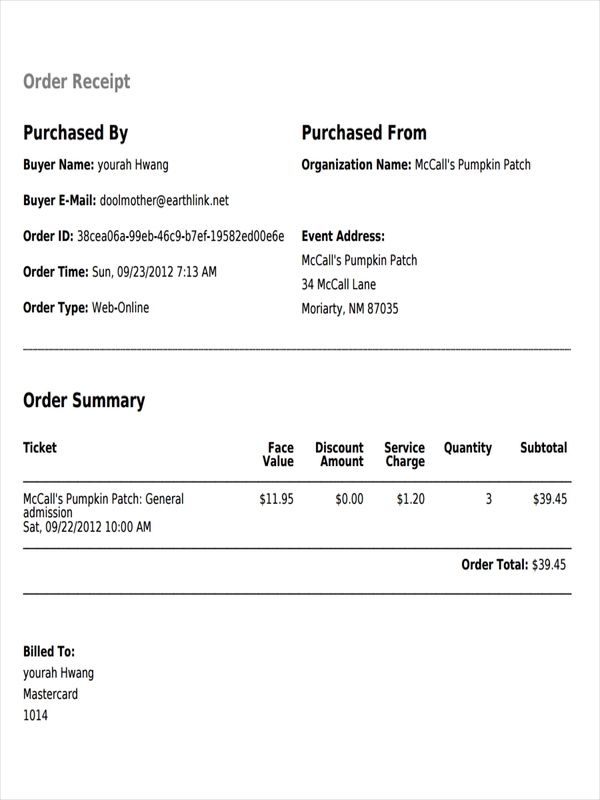 The issued receipt may either be printed or sent through email, depending on how the order was made. Writing a professional receipt is important in establishing authenticity. 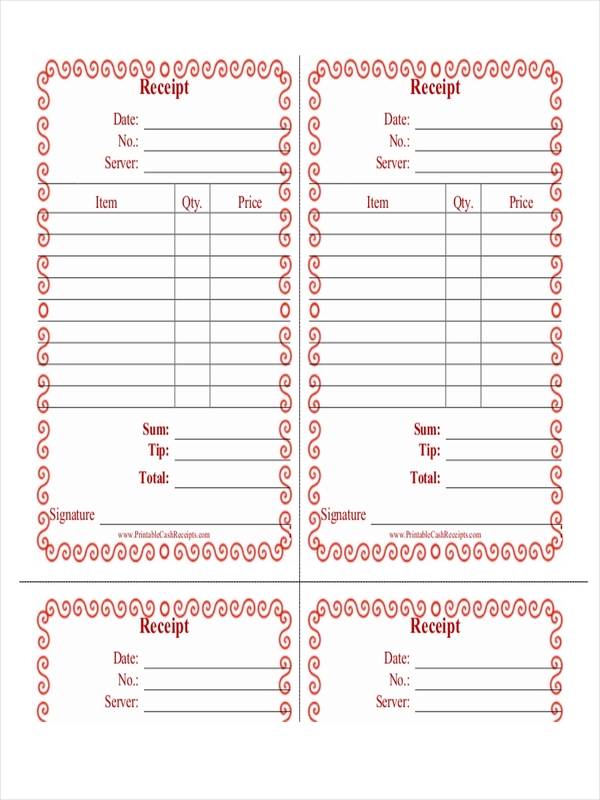 For an order receipt, like other receipt examples, it must be written in a structured manner for it to be clearly understood by a receiver. Add a heading. The heading of the receipt may include the shipper’s logo, title, order details, and the recipient. The recipient may be a different person from the buyer, depending on how a form was filled. Clearly state information on purchased items. This is anything from the item code, the product description, the quantity, and the price of such. Itemize in alphabetical order. This will make it easier for a buyer to check whether all ordered items have been reflected in the receipt. Include payment details. A breakdown on tax receipt, shipping, and handling costs must be provided. 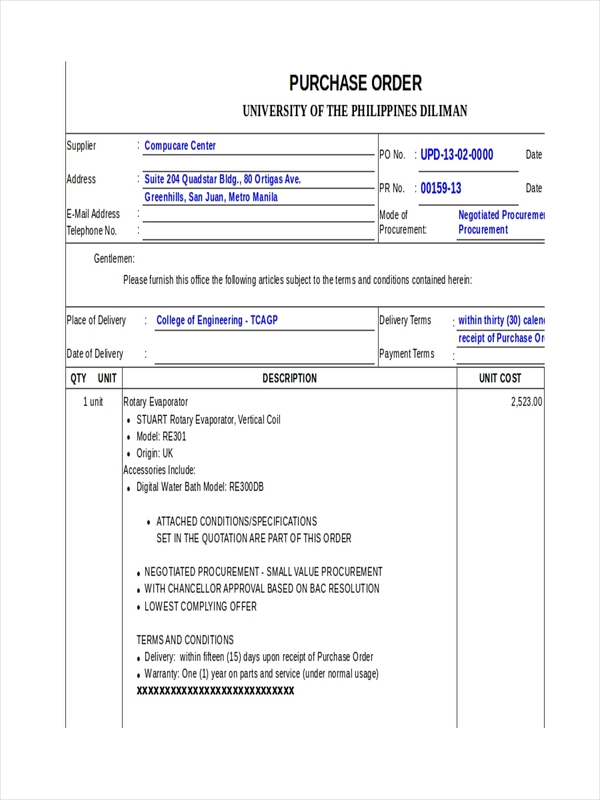 For online transactions, shipment details should also be included. This is so a buyer may easily track the item being shipped especially if there’s a delay. As a customer, you might need some sort of confirmation to prove that your order has been successfully recorded. This comes in the form of a receipt. If you’ve noticed, other sample receipts serve the same purpose as well. This is to imply that no additional costs will be added to your total payment receipt other than what you have agreed upon. A sales order will also make it easier for you to track and to make follow ups on your ordered items. 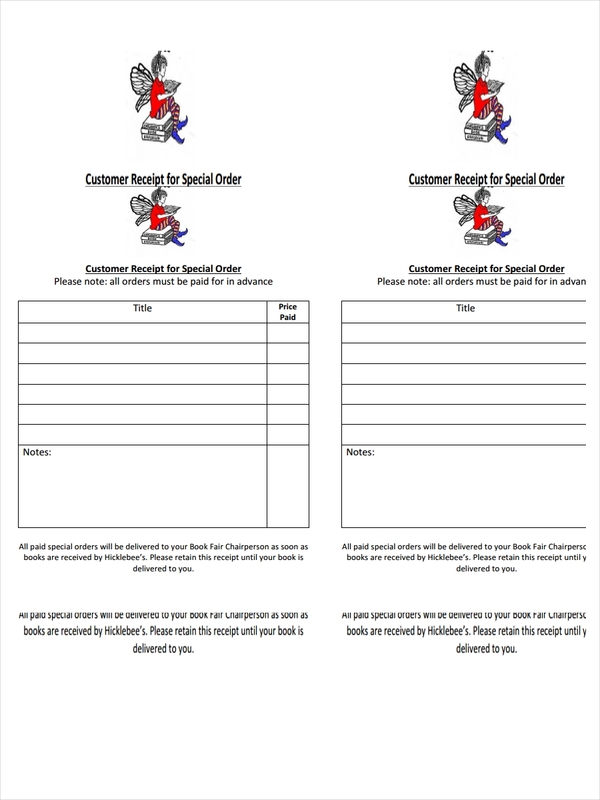 Sellers may also require a sales order receipt for valid proof that a buyer did indeed order a particular product. This may also come handy for possible disputes between a seller and buyer.